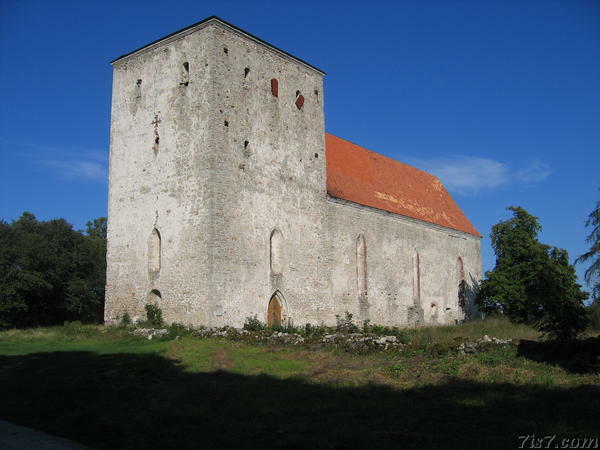 St. Mary's church in Pöide has thick walls like a fortress, and has a distinct crack in the facade of the tower. 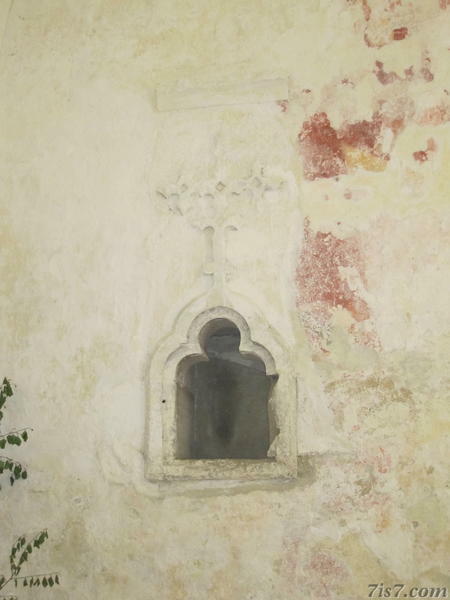 In the 13th century a fortress was built in this location by the Livonian order, who controlled the eastern part of Saaremaa. 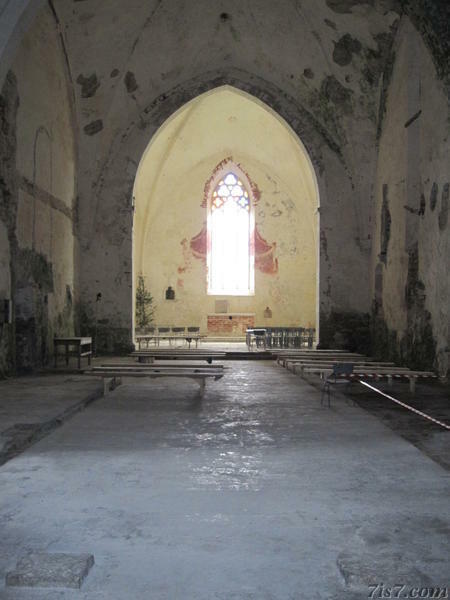 The fortress was destroyed during the St. George's Night uprisings in 1343 and the current church was built on the remains of the fortress' chapel. 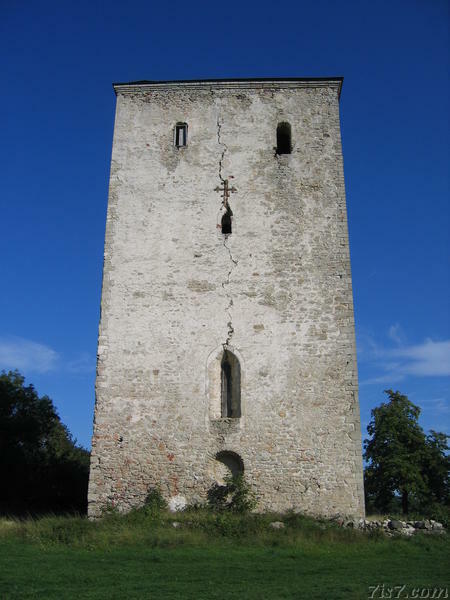 St. Mary's church in Pöide was looted and burnt by Soviet soldiers during the second world war and also struck by lightning during the summer of 1940, which caused the crack in the facade of the tower. The metal cross seen on the tower is symbolized on the flag of Pöide municipality. 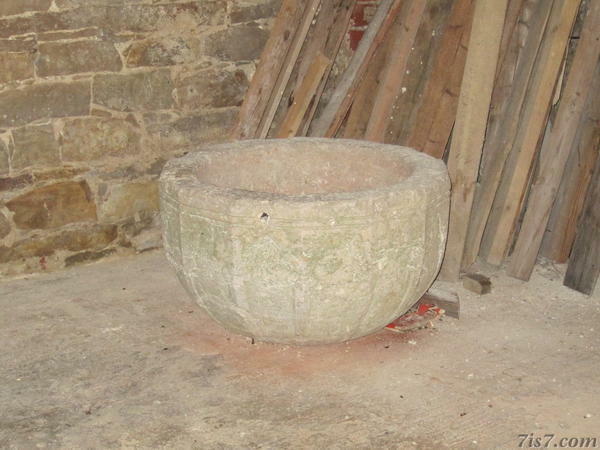 Under Soviet rule the congregation was banned and the church was used as a hay shed. Location: 58°30'34"N 23°2'55"E on: Google Maps, OpenStreetMap, Maa Amet.